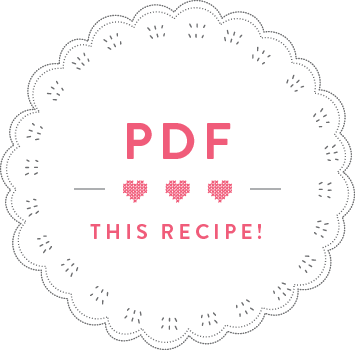 The flavor-combinations of this appetizer might sound a bit random, but they work! 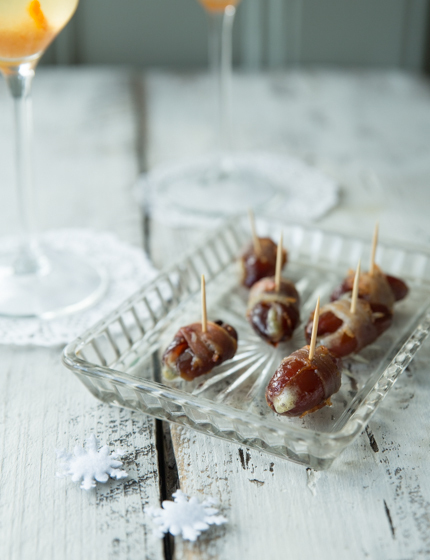 The sweetness of the dates loves the smokiness of the bacon, and is given a little kick with the addition of Stilton. Divine! 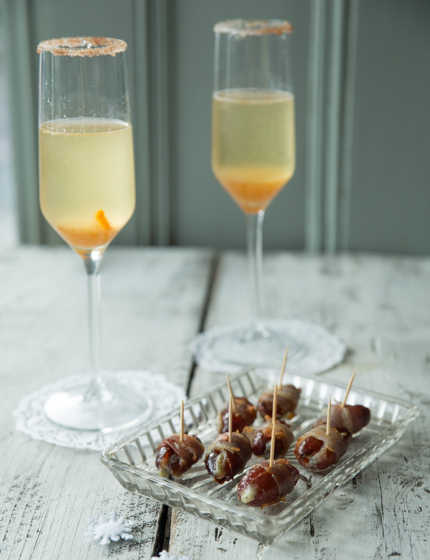 These little buggers are especially yummy with a glass of my Festive Marmalade Fizz. Open the dates and stuff a small piece of blue cheese into each cavity. Cut the pancetta rashers lengthwise, then cut in half. 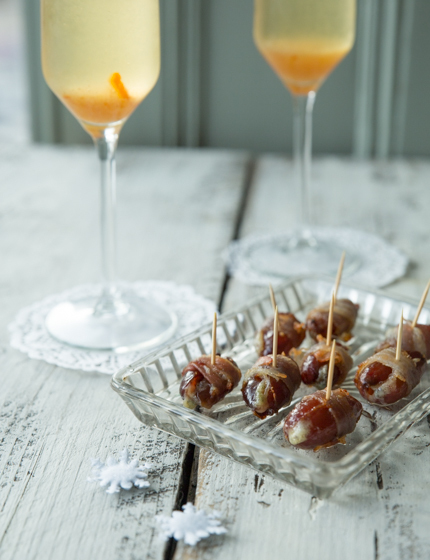 Wrap a piece of pancetta around each date and bake in the oven for approx. 10 minutes.